To my unexpected surprise of the concerns and questions raised (and recent “locking” of the old thread) by others from my recent actions, it would seem that an explanation is appropriate. The thoughts and “understandings” I had posted on the previous thread had been from the very start an “experimental” attempt at helping others learn faster what took me a long time to comprehend, and in the process taught me quite a bit in return. The content of each post was unique due to the current understandings of the time in which it was written. If looked at as a whole, they would have yielded a constantly changing perspective, one that hopefully was in the right direction, although I don’t know if this was the case. I don’t feel that the removal of my past thoughts, via deletion of my posts, was in error. Each and every post I have made, had and will always have despite any number of revisions, significant flaws due to my limited understanding and personal capabilities. I realize that some people found the contents of a few to be useful and may have derived some new insight from them. Through the eyes my original intent, is all I could have asked for. I am not a physicist, electrical engineer or hold any title in a remotely similar position. Instead, I am your “self-taught” man, your “common swine” with little to no formal education. Due to my limited education I rely heavily upon INDUCTION rather than DEDUCTION in the thought processes of my personal efforts. This is a double edged sword, it allows you to see further into complex problems without the usual prerequisite knowledge required, but simultaneously can lead to erroneous thoughts. My personal code of ethics does not allow me to spread misinformation or anything that is incorrect while being aware of it. I have become increasingly aware of the flaws in my past and current posts, in the effort of not spreading my misunderstandings to others (like a contagious disease), deemed it best to outright delete them. However, it would seem this approach, while quick and effective, was probably not the best action. I must say, that despite what may be thought the contents of my posts were not very important and in the scheme of things, insignificant to the “transmissions” given by Mr. Dollard. ANY man who has the ability to look up the references, do some of the basic experiments and actually do the required reading and CONTEMPLATION of it all, would have done as good or BETTER job (than myself) in posting interesting questions and answers to other peoples questions. It’s that simple. So I encourage everyone to do just that, if you aren’t already doing so. For those who are more recently trying to grasp the details, significance and practical value of what Mr. Dollard has lectured about in his various works, the insightful words of Alexandre Dumas père’s Le Comte de Monte Cristo come to mind. Don’t expect to understand everything in a matter of days, it takes weeks sometimes months to digest complex ideas let alone find practical use for those newfound understandings and derived ideas. In the afore mentioned book, it took years for Edmond Dantes to plot and perfect his revenge, so too will it take any man (days to weeks) to understand and employ for practical utility the lectures given by Mr. Dollard (or any of the many references given by him). This problem comes naturally with learning anything new, so don’t get discouraged if you can’t figure out what it all means right away. As was best said by the Comte de Monte Cristo himself “bide your time and hold out hope”. In closing, I never intended to cause a disruption here, I realize now that doing what I did could only do just that, I apologize for any and all inconveniences caused and hope things can return back to their original focus on Mr. Dollard’s lectures and the Crystal Set Initiative and off of my recent obtrusion. Good to see your still around Garrett....Thought you had dropped of the edge of the earth. Even Tesla's understandings were constantly evolving with time, so it is only natural that yours and everyone else's would as well. Can't expect perfection right off the start. Advancing these understandings and pushing the limit on human knowledge is best done via a communal effort. It's important to be vulnerable and potentially be wrong, for that is courage and how progress is made. The material Eric Dollard has presented us puts us on the cutting edge of a new technological paradigm, arguably one that should have taken root a century ago. 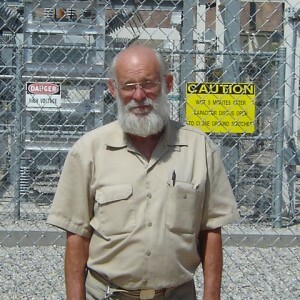 Since a new thread is being started I thought I would post links to all of Eric Dollard's transmissions and posts I have collected and put on my website for easy reading. This way people can catch up and review material they have missed without trying to wade through 1,200+ posts of the previous thread. Last edited by Gestalt; 05-08-2012 at 11:49 PM. Garrett do not fret over 'paper' degrees, I know many engineers with a degree I wouldn't let engineer a paper bag! Ones cognitive abilities are not based on the paper on the wall, Erics been very clear about that! Back to the crystal set, the new 4Mhz coil set lo and behold does receive a signal, I'm picking up a faint static and occasional 'blip'. reduced the primary coil winding spacing to increase the capacitance and that was the improvement. will be adjusting the top capacitance next. a bit suprised as the larger AM coil has been dead quiet so far, I'm just chalking it up to the primary coil not being wide enough. Still working on the capacitance equations, not going to happen over night though, although I do 'sleep on it' as that's been a wonderful resource for me for as long as I can remember. Put a couple things together rough it out on the notepad I keep on the nightstand and in the morning I'll usually have some further insight that move it along, sometimes it'll take a couple days then BLAM! new insight. I'm still fiddling with some equations and a theme keeps emerging in that capacitance is a dynamic function of the frequency and a yet assigned amplitude vector or phasor. It's slow for sure, I need to get a few more pieces of equipment to further test some ideas. Lots of great theory but sadly nothing that crashed any of my einstein education yet. So you still think that the electrons are the source of electricity? Or do you believe there are lines of force, or aether, being the cause of electricity? It is a shame that you took down your posts. Eric said that it was a great help to have you around so that he had somebody else to answer questions because your understanding of his math is quite clear. However if you want current to flow in a specific path their movement does create current. I was very specific when I said "potential" in explaining reactance and that the per business is the 1/x reciprocal. I do not see the significance or benefit of calculating it in the opposite quadrant and time always goes in one direction. The point here is that I can qualify and quantify everything that has been done in per farads in the identical manner and get identical results without using the "per". Maybe I just "dont get it"? But them my questions went unanswered. So neither of those items (among other questions I have posed) have been sufficiently explained. I feel I gave a pretty solid explaination as to why I think it is that Eric stresses considering resistance/conductance over low/high resistance in this post and received no feedback on where my understanding on the issue was lacking. Here is another example; Eric says that the loses associated with the insulator are represented by G and are separate from the loses associated with the wires represented by R. The loses associated with G are related to the potential difference and the loses associated with R are related to the current, again the situation of polarity reveals itself. Yes we could say low resistance/high resistance but in one situation the loss is occuring in one type of material and in the other the loss is occuring in another type of material which is the polar opposite of the first material and I think Eric is trying to distinguish this. You are correct that you can calculate these quantities as you are saying but I feel your missing the point that is trying to be made. Why was it that Steinmetz/Heaviside and the other brilliant people who gave us our equations used even bothered with conductance then if you could just call it a low resistance? You are correct that today the problem is considered as low resistance/high resistance but I'm pretty sure you'll agree that Eric is distancing himself from the modern interpretation of electrical theory and agrees with the interpretations of the turn of the century scientists/mathematicians and so speaks their lingo in the same way that you're speaking the lingo your teachers told you to use. Eric would need to clarify that this is why he stresses conductance/resistance over low/high resistance because this is just my interpretation. Its an "i"ther or "ee"ther argument. granted if I want to find certain transistor or tube properties I use conductance as a matter of convention. I do not see him as distancing himself simply by the use of different in expressions to say the same thing. It all comes out the same and does nothing to pound a wood stake through Einsteins heart, or meyls for that matter so whats the point? I tried to simply agree to disagree but thats correct, in math and physics etc everything can be and needs to be reduced to its lowest common denominator to fully grasp what is going on in any system. I agree with that observation. Do you disagree that is the way physics and understanding the nature of everything around us et al works? The alternative is mysticism is it not? Why would you fear a reductionist method considering the alternative? I maintain the pounds per square inch has absolutely no relation to capacitance whatsoever, in the world of electrical engineers. Hence it is absurd. To quote E.H. Armstrong, "They substitute words for reality, and then talk about the words." That was very accurate and well said. This is what physics has done. That is what literally all language has done. In Electricity, the ideas og Goethe and Wilhelm Reich are much more in accord with electricity, and the formative forces in general. Newton was a materialist and his physics represents an impediment to the understanding of electricity. For those married to "Little Ball Bearings", this is why we have the Planck. Here you can have your beloved E equals mc squared which is so dear to your heart. So use it, don't heap capacitance and inductance with lead weights. I am not moved by throwing stones, its easy to throw stones and not so easy to back up those claims. You want to get down and boogie then lets be frank; nothing yet posted in any of those threads disproved Einstein, sorry. The Aether does not relate to the inertial laws of Newton, but the formative forces laws of Goethe. Ok so that is Erics opinion, where is the meat and how does whatever he envisions get us closer to a working TMT? Energy in its most arch-typical form is embodied in the phenomenon of Electricity, but what is Electricity? Now our wheels even more stuck in the mud! But we have important clues, namely that of polarity, not plus or minus so much but more like male or female. This thought follows from Goethe to Tesla and Steinmetz. Thus Electricity, in order to manifest, a UNION must develop. This is the union of the “male”, or projective, and “multiplied by” the “female”, or receptive. Hereby, the male is the dielectric field in counterspace (of per centimeters), and the magnetic field or female in space (of centimeters squared). Space in c.m. squared is what you pay for in “real estate”, counterspace in per c.m. is the space between the lines on a ruler, or between molecules in a crystal. Here we go with counterspace again. What "precisely" is "counterspace"? It is the opposite quadrant that states the same thing from what I can see. Hence what mathematical or physical understanding is to be gained? So with that in mind let's look at our disagreement on using conductance and resistance interchangeably instead of low resistance/high resistance. Disagreement? Aside from manner of expression you have not stated what the difference is yet? It actually has striking similarity to the battle waged between Goethe and Newton as to a theory of colours. Goethe believed that colour was an interaction between two polar opposites, being light and dark. Newton refuted Goethe's arguments claiming that darkness was only the absence of light and so colours could not possibly be an interaction between light and dark. In my reductionist version they are both wrong, where color is known to be the band of wavelength(s) being reflected. It is interesting that the Heaviside equation (Off the top of my head it is (RG+XB)+j(RB-XG)), which Eric states is the most fundamental equation in electrical engineering, can be reduced to ZY. This implies that electricity is the interaction of two polar opposite quantities being impedence and admittance in the same way that Goethe said colour arose from the interaction of Light and Dark. The problem is that "light" and "dark" are not physical properties. Anything that has a direct polar opposite can be correctly simplified by using one or the other and it is always easiest to use the same units unless there is some necessity to use the "polar opposite". No I am not saying that, I am saying that you are making something very simple in electrical engineering needlessly complicated. in the same way Newton argued that darkness is an absence of light. Since we are learning Eric's theory we shouldn't try and bring in Newtonian scientific concepts into a concept which has been stressed, repeatedly, that it is Goethean. Is using the mathematically polar opposite a theory? Well as you can see i am neither newtonian or goethe-ian in my analysis. You have just taken all the work I have done in deriving new dimensions and tried to convert them back to physics dimensions. Polar opposite is not "new dimensions", sorry. They are the same dimensions expressed in its "polar opposite. You want to go back to physics. I just got done going through 40 papers to get physics out of this! physics (f z ks)1. The scientific study of matter, energy, space, and time, and of the relations between them. 2. The behavior of a given physical system, especially as understood by a physical theory. So looking at the accepted definition how has that been accomplished? Is it mysticism that is the goal here? Heaviside and Steinmetz didn't go through all this trouble to turn it all back around again. Are you sure you know what dielectricity and magnetism are? Physicists have no business in dealing with this sh**. I derived a system of units that stand by themselves. Use the units I have derived NOT physics units. Physicists have no idea what electricity is- they don't even believe in the Ether! Now if that doesnt put a twistee in your undies nothing will. Now as for the consumption/production problem. Yes I am aware that to a scientist/engineer trained under conventional theory thinking of the 'consumption' of electricity is a misleading term but again we aren't learning conventional theory we are learning an entirely different theory based on an entirely foreign method of scientific investigation. When a physicist here's the term 'consumption of electricity' they think that one is talking about the consumption of moving electrons which IS a wrong concept, (wheres the "EMPIRICAL" meat on this new theory?) however Eric is moving away from an electron based electricity. Even Tesla firmly believed in entropy and enthalpy, so where are you trying to take this again? When I say consumption and production I am talking about field lines issuing from the metallic-dielectric confines which seem to just appear out of the geometry with no apparent source (production) and disappear in the same fashion (consumption), what other words should I use? 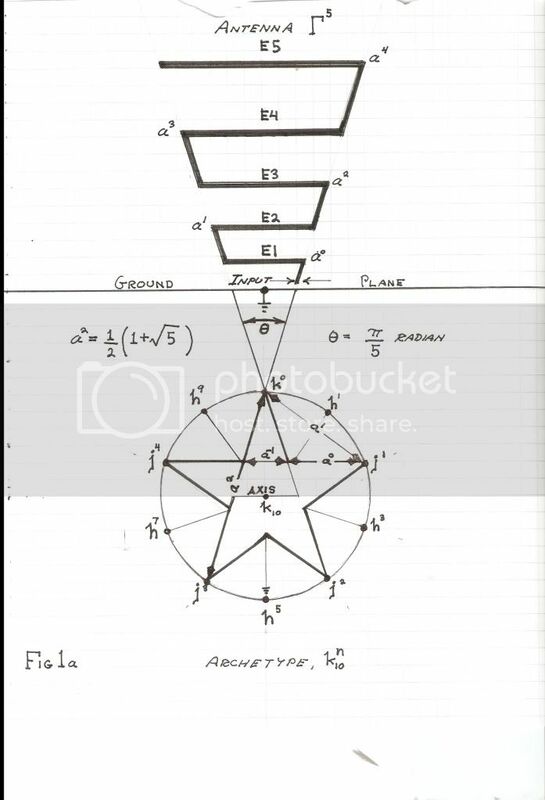 It's interesting to note that to a conventional physicist field lines are just useful analogies to teach students but to the people Eric is references (Heaviside, Thompson, Steinmetz) field lines have a concrete reality. Would you be happier if I used the term 'convert' instead of produce and consume? To me there is no difference between saying convert and saying something consumes one quantity whilst simultaneously producing another quantity and I'd say the answer you prefer would be a matter of philosophy. The other major reason I use the two terms is that Eric uses consume and produce to illustrate these concepts and so I have used these terms as not to further confuse people on an already confusing subject. More semantics and using different terms to express what is already understood. This seems to split invisible hairs as if there is some new reality that never comes to fruition. Thanks for your response It's given me some things to think about, I will form a reply a little later. So no, you have not expressed it earlier in a manner that an engineer would accept any more than you have expressed it above. Granted I would agree that there is a lot of good things stomped on to maintain their monopoly on commercialism and that in and of itself is or should be criminal. I can write a several page list of all the atrocities of science, however that does not change the fact that physics and engineering has nonetheless established methods by which these matters are to be investigated and proven. Bypassing these well proven and understood methods regardless of how we feel about the way it is handled academically will in fact lead us into purely mysticism. Now I have never seen an instance of mysticism functionally replace physics. Last edited by Kokomoj0; 04-02-2012 at 04:15 PM. there is a reason I posted all this. when you reach f0 the the reactances create a null and look to the circuit like a pure resistance you get the highest waves. I pointed out in this and other threads that ther can be measured by either a real meter or a simple make shift VSWR meter by tapping into the circuit. The old timers have done this since the invention of dirt. How does anyone know what is right or wrong by judging only one side of the matter? I posted this so that people who do not have an engineering background can get a quick overview on how its done in the einstein world so they can make an informed decision on the matter. So since Meyl has something I can actually put my hands on, I am still leaning more toward Meyl at this time and will continue to duck the stones until shown differently. From my understanding and interpretation, this and other theories which essentially agree focus their mathematics around 1 (unit circle etc). Applied to high vs low resistance and conductance, you can see the dividing line falling at 1 ohm. You could halve resistances for example 64,32,16,8,4,2,1 but at one we start toward the "ratios", 1/2,1/4,1/8th etc. This would be the other way around looking at it from the conductance end of the spectrum. this is similar to the Reciprocal theory by Dewey B Larson. The self capacity of the coil is minimum when the diameter is equal to length, roughly 1pF per centimeter of diameter. The velocity of propagation alone this coil is pi/2 times the velocity of light due to the distributed shunt capacity. This results in pronounced capacity effects when the coil is operated higher in frequency than resonance. Why this h/d = 1? So, we should choose our diameter D = (n * 1/2 lambda transverse) / pi. The longitudinal waves travels along the length of the coil. Now the wavelength of the longitudinal wave for the same frequency is pi/2 times as long. So, for D calculated as above, we get a longitudinal wavelength along the length direction of the coil of pi/2 times ((n * 1/2 lambda transverse) / pi) = n * 1/4 lambda transverse. So, for a give diameter D, when we have a n * 1/2 lambda transverse along the circumference, we have a corresponding n * 1/4 longitudinal wavelength across the length of the coil that equals D.
So, the extra coil does not HAVE to be h/d = 1. Only in the case you want a 1/4 lambda waveguide / coil, you take h/d = 1. If you want a 3/4 lambda, you take h/d = 3. And you can also play with n, BTW. What is most important is to calculate the diameter such that you suppress the transverse wave at the desired operation frequency. Thanks Lamare, that's a good point to bring up for those trying to understand the ratios and reasons. On a side note this relationship also highlights the leakage capacitance of the windings. Inductance and the inter-turn leakage capacitance are geometry dependent and a function of the frequency. I want to find a more accurate calculation as to whats fundamentally occurring here, there is a phasor or amplitude vector tied to the rate of change in theta that needs to be factored to move from a ratio to useable constant, similar to resistance and voltage. I'm getting stuck with traditional notation and I think this is where I need to pull in the j operator of Steinmetz and Erics work with k. I wish this was faster. Also does anyone know why LaTex format isn't possible to post here? 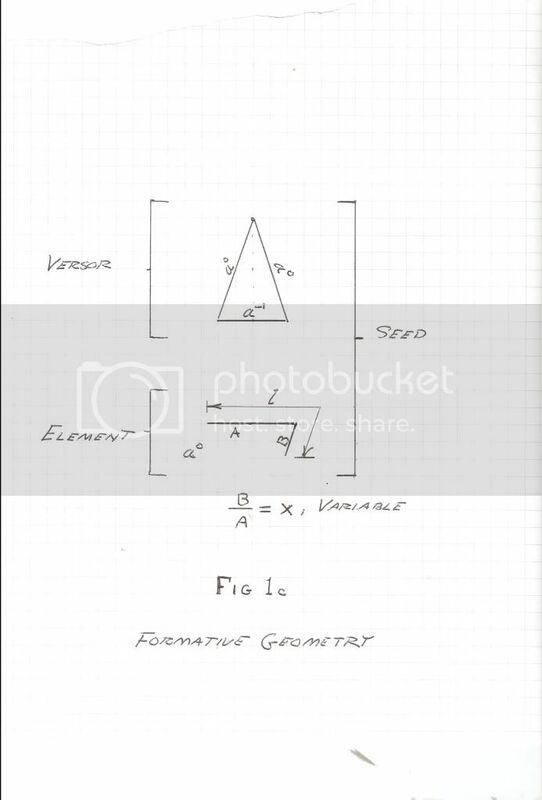 it would be very helpful to be able to post equations as they should look, a picture is indeed worth a thousand words, and hosting the gifs to other sites is a bit of a pain. Is this a function of the BB format? with resources like latex online you don't need to have the program to edit and join in. Connected to this secondary coil is an additional coil, the Tesla coil. This is where the magnification properties are most pronounced. What is this magnification (without all the raz ma taz) "exactly"? From previous discussion I was forced to conclude that it is merely the transformer ratio. This line or coil is also lambda/4 long. I had to correct what I said. that completely made no sense and my response made no sense either. So the smallest possible hairline wire should be used? and how does this high impedance (resistance) facilitate "magnification of emf? The lowest self capacity would be square wire as used in speaker coils. The self capacity of the coil is minimum when the diameter is equal to length, roughly 1pF per centimeter of diameter. Has anyone done the math on this? The velocity of propagation alone this coil is pi/2 times the velocity of light due to the distributed shunt capacity. This results in pronounced capacity effects when the coil is operated higher in frequency than resonance. The velocity has nothing to do with it because as frequency goes up capacitance of a device (coil) becomes more noticeable. Even with a piece of wire and then when it gets even higher then the inductance of a straight piece of wire becomes more pronounced. If the velocity through a "distributed shunt capacity" LC circuit with coils and capacitors on the bench is C (minus material considerations etc) how is it that in this arrangement of a coil with air spaced capacity it now becomes pi/2? My mind just went out on blink again. Its really difficult for me to conceptualize what could be different between them that could cause this or create this effect? Last edited by Kokomoj0; 04-02-2012 at 06:43 PM. in reference to the leakage capacity of pF per cm, the current equations I've calculated show that the d/h= 20% shows a ~.935pF per cm and the d/h of 1:1 on the extra is .547pF per cm. one thing to keep in mind though is the sigma ratio of wire dia to axial distance that affects this calculation, it also isn't even touching on frequency or the time based function as it should. (I) There seems to be considerable confusion regarding the Alexanderson Network as a high frequency antenna for radio communications. I constructed the first version of such a network at the “Camp David” Installation on 450 Overlook, Bolinas, CA. This was done from 1990 to 1994. This installation was obliterated by the County of Marin as a service to the Golden Gate National Recreation Area. Pictures of the Alexanderson network, or array, can be found in the “Barbera Boxer Report” by E.P. Dollard. Camp David, named after its owner David Franklin, was conceived as a civil defense facility for the Town of Bolinas. The Camp David antenna is a dual log-periodic Alexanderson network for high frequency radio communications. Hence forth it will be called the “Bolinas Antenna”. The Bolinas Antenna suited the needs of both Bolinas radio stations KPH and NMC. The “group” did not like this idea so the Bolinas antenna is no more. But the principles are not gone, they exist as mathematical certainties and established engineering formula. The Bolinas antenna is constructed upon two primary engineering considerations: The first is the use of counter-spatial, or reactive, elements, as found in the distributed networks of Tesla and the lumped networks of Alexanderson. The second is the use of a log-periodic sequence of elements as developed thru U.S. Air Force research contracts. The union of these two conditions give rise to a broad bandwidth structure along with “Non Maxwellian” transmission capability. Niether Tesla nor Alexanderson produced such a network, both were very much Single Frequency structures. The primary objective in the development of the Bolinas Antenna was for telluric transmission and reception in the range of 80 to 40 meters, a one octave band. The Bolinas Antenna consisted of a pair of vertical networks in phase conjunction. The neutral connected directly into the San Andreas Fault line. The log-periodic construction allowed the Bolinas Antenna to also be utilized as an electro-magnetic radiator up to 30 megacycles per second. The compact size and the broadband characteristics make this antenna useful for confined shipboard installations. The theory and design as well as construction details will be developed here. (II) The counter-spatial, or reactive, transmission network theory is already given in “System for the Transmission and reception of Telluric Electric Waves” by E.P. Dollard. This aspect will therefore not be repeated here. The log-periodic concept will however be developed in the following: Considerable detail on the log-periodic antenna can be found in “The Multi-Wave Oscillator Handbook”, by Tom Brown. A U.S. Psychotronics Assn. Video on the M.W.O. Also exists on “YouTube”. Here can be found the details of my U.H.F. M.W.O. Antenna. Its range was from 300 Mc/sec to 1000 Mc/sec. A “faster than light” speed was expected, but as usual it was time for the “rat to run” so the antenna project vanished to the winds. Be we can rest assured that someone profited from it. The log-periodic antenna grew out of U.S. AirForce research contracts with the objective of developing a “frequency independent” antenna. The tactical H.F. Radio, and the U.H.F. Spread spectrum systems under development could not operate without such an antenna structure. Unexpectedly here electricity meets with Fibonacci. The log-periodic antennae were found to project themselves into a virtual antenna beyond the physical bounds of their apex. This is analogous to the “plant-archetype” of Rudolf Steiner. Log-periodic theory states that an electrical structure becomes frequency independent when its constituent sub-structures each exist in a log-periodic sequence. This is to say each elemental network in a series of networks differs from its neighbor networks in a constant logarithmic proportion. Then the concatenated series of networks becomes frequency independent over a finite band, this depending on the total number of individual networks in the log-periodic progression, the more networks the greater the bandwidth. This eighth order operator hereby expresses the pipe organ in terms of the log periodic scale of octaves. The root log-periodic operator, and this may be regarded as a kind of “alter-versor”. Hereby the dimensions of any lineal wire log-periodic can be determined. Hence this structure has both a “high broadband” T.E.M. Mode, and also a “Low Band” L.M.D. Mode with one specific operating frequency of . I don't plan on posting as often as I was, but I feel the discussion of "Conductance and Resistance" has gone off into the land of confusion. The way I have understood the concept of Resistance and Conductance is in the ORIENTATION of the element INSIDE A CIRCUIT. Conductances are in parallel (or shunt) Resistances are in series. While you can convert a conductance to a resistance (by using its reciprocal) it doesn't change the ORIENTATION of the element. The direction of "current flow" through each element (r or g) does not go in the same direction, they are orthogonal to one another (at right angles to one another). I think there is a logical reason as to why the forefathers of electrical science came up with TWO coefficients, for "something", that don't store or return electrical energy, this "something" is that which guides and directs the flow of electrical energy (some would say reflects the electrical energy). If there are two possible directions in which the energy can be directed (series or parallel), it would follow that two terms are needed to give a clear picture, when discussing a circuits operation. This "something" can be characterized by resistance (r) OR conductance (g), depending upon the arbitrary orientation of the "something" (or the MULTIPLE flows of energy in and around the "something"). The "something" can be anything seen in a circuit, and while the "something" may have many different properties (L, C, M or K) that characterize its "effective" function, r & g denote the direction of the flow of the BULK or a PORTION of the electrical energy. An example of a "something" is a capacitor. Its effective function is to store dielectric energy as an electrostatic potential (e, proportion) and return that energy as a displacement current (I, induction). BUT there is an unwanted conductance (g) internal to the capacitor. Here conductance is used because it is a parallel element as is capacity (C), the flow of "current" caused from g doesn't constitute the WHOLE current current by C the "effective" element, only a small portion of the "effective current" is caused by the internal conductance. Resistance CAN NOT be used as a replacement, this is because currents DO NOT ADD IN SERIES, currents ADD IN PARALLEL. So it can be seen that g and r have their respective places for a reason, which is from the DIRECTION OF FLOW of electrical energy. If using critical thinking, the thought that a big conductance is a small resistance is NUMERICALLY correct but also wrong at the same time. The direction of the "current flow" has now been occluded by the conversion, which in most cases isn't all that important, BUT can lead to erroneous thoughts in more complex circuits. This is especially true for distributed element type circuits. Conductors; metal does not conduct electricity, this is a primary mind virus. When it is e, or i, the metal bounds the electricity, when it is E, or I, the metal translates the electricity. This is an extremely vast subject so wait. Resistance is NOT one over the conductance. No it is not! The ability of metal to "conduct" is in direct, not inverse, proportion to the square root of the resistance of the metal. Also the more the metal "conducts" in this manner the more the surrounding E.M. wave is slowed. Thus large deviations from the luminal velocity are found in transmission systems in which the physical mass of the conductors all take part in the flow of electrification. Last edited by garrettm4; 04-03-2012 at 06:40 AM. Kind of challenging to get all this straight. I'll try to answer your questions from what I understand. It comes down to this: when you create a longitudinal resonance in some system, you have to drive it one way or another from a normal power source. That costs you in terms of energy. However, when you have a higher order resonance in your system, you have multiple oscillating dipoles, of which (ideally) only one is driven from your power source. The other ones draw their energy from the aether itself and thus come for free. Now the impedance. When you are using complex mathematics to calculate electric systems, you calculate with impedances. The nice thing about calculating with complex mathematics is that it makes calculations on harmonic systems much easier, because you can calculate with capacitors and inductors almost as if they are frequency dependent resistors. Now the impedance of a capacitor Zc = 1 / (jw C) -> with j the square root of minus 1 and w the Greek letter omega, 2 times pi times the frequency. And the impedance of an inductor Zl = jw L.
So, if you want a high impedance, you need either a high inductance or a low capacitance. Now note the word characteristic. That means we are not talking about the impedance of the coil as a whole, but about the distributed impedance. In other words: he is considering the coil in terms of a distributed transmission line. All right. Now we are talking about the specific case of having a coil in a longitudinal resonance mode, whereby we design our coil such that transverse waves across it's circumference are suppressed. Since the longitudinal wave travels along the length of the coil, it does not "see" the inductance of the windings. It propagates from one winding to the next by means of the tiny capacitors that exist between the coil wires. Now only in the specific case that the circumference of the coil equals an odd multiple of the transverse wavelength, you get no TEM wave. And THAT is what we need to accomplish with a Tesla coil, or better, the "extra" coil. Now when you look very deeply into what magnetism is, it is a rotational movement of the aether, while dielectricity is a translation, a "straight" displacement, of the aether. So, anything magnetic HAS to have this rotational movement of the aether, while the propagation of dielectricity moves just straight ahead. In other words: magnetic stuff takes a detour of netto half a circle (pi*r) while the dielectric moves straight on (2*r). When you divide these, you get the factor pi/2. And one of the first things you have to let go is the idea that the inductance or overall self capacitance of a coil is of any use. At frequencies above the self-resonance frequency of a coil, these are totally useless. At sufficiently high frequencies, it does not even matter how many turns you make on your coil. Then, it appears you can get a long way by mainly considering the geometry of the coil and consider it more like an antenna/wave guide where you match circumference, etc. to the wavelengths you are working with. It appears that all you need is a correction factor of 0.9 - 0.95 to account for the slower propagation speed of waves trough metal when compared to air / emtpy space. Thanks T-Rex for this especially juicy post. 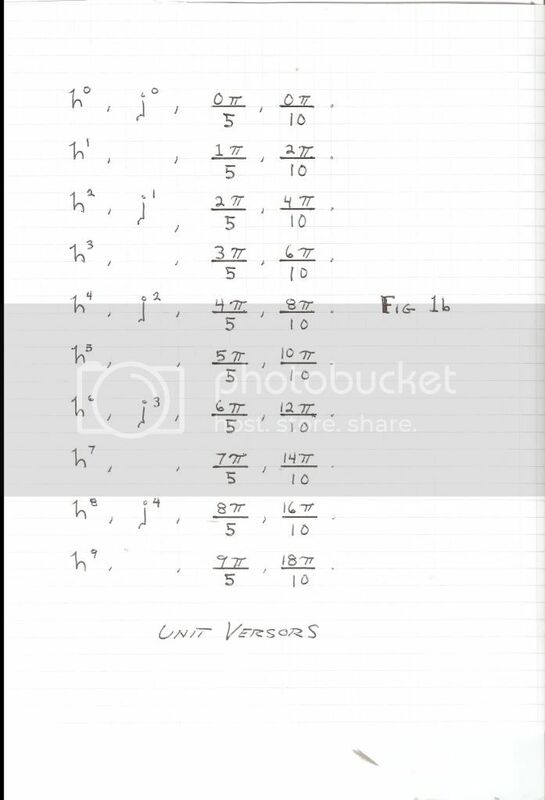 My high school algebra... whats left of it is sufficient to comprehend most of what you are talking about here. Oddly it was a couple of Stinson beach girls who short circuited my math mind when they introduced me to weed back in 67. That pretty much dates me. Fortunately I can still read write and do enough arithmetic to survive. time always goes in one direction. Time doesn't go in any direction; Space does. Well I don't get it. Meyl is unable to demonstrate properly the Tesla effects. The difference is clear both in observation and operation. A 30 second experiment can clearly show this. I advise you to start playing with things you can actually get your hands on because it seems that's what it will take to undo this Meyl madness, you will have to see it for yourself. That alone will answer vast amounts of questions as well as ones you haven't even thought to ask yet. The experiment speaks for itself - so do the experiment. Don't watch videos or read about it. 1:3 diameter to height ratio or a 1:1 ratio, then what about 1:5 or 1:7 ratio ? the terminal D - should be somewhat below the uppermost turn of coil A.
the circuit, as I have specified in my original patents before referred to. So either it's OK to use 1:3 ratio extra coil or it isn't. Which is it ? Tesla seems to say it is OK.
streamers into free space or 60 to 70 mm arcs to the grounded plate ? More -less ? watts input from a 5000 v AC supply ? should it be a sine wave ? terminal ? Or how much current or whatever ? cover each one separately ? intended mainly for electrical energy transmission, not "signals" as such. Last edited by Farmhand; 04-02-2012 at 09:42 PM. time is additive, never subtractive. It is a chronological sequence of intervals with an agreed base unit of a second. time travel and the science fiction of going backwards in time is frankly laughable. Imagine how many people would be running around from the future! If they were not able to invent in the future it certainly does not exist now. In so far as these experiments are concerned I occasionally mention things that would be conclusive or at least more conclusive and everyone gets pissed at me and snarks at me telling me to "build your own crap". Now if you look above we have Dollard telling us to build a log periodic antenna as if that has anything what so ever to do with the TMT. Of course it would have worked good for tv and receiving hertzian waves. Yes, as far as I understand you can do all these. The key is to match the circumference such that you suppress the transverse wave at your desired frequency, which means it needs to be a multiple of 1/2 lambda, because then you have a closed loop with your magnetic wave out of phase on subsequent windings. When you have done that, your diameter D equals 1/4 lambda for the desired longitudinal wave. So, by taking h=D you get a 1/4 lambda longitudinal resonating coil. By taking h=3D, you get 3/4 lambda for that same frequency. And so on. Of course, this only works for relatively tightly wound coils. If you wind it like a helix antenna ( Goetz's HRPT/HRI Antennas ) the spacing between the windings is much to big. And also the pitch (winding angle) is such that you can no longer consider the coil to be non-conducting in the length direction. So, within certain limits, I think you can get a long way by looking at the geometry. The only time is now. Physicists can only define time relative to certain events happening in physical space, according to the amount of change they can measure. A "second" hand moves a certain distance on a clock according to a certain rhythm, and they call that time. It's all derived from the sun's observable position in the sky. If there was no change in physical space then the physicists would have no basis for their theory of time. I've also posted "conclusive" evidence but I don't see anyone doing cartwheels in excitement over that either I get the feeling most people don't believe it because it's one of those things they'll have to do and see for themselves to be sure. Yet we have all accepted what we are trying to disprove as "the way it is" without doing our own investigation to prove it in the first place. Everyone else believed it without question so so did we. But why so hard to show it to be wrong even when we have evidence to back it up? I could post my own experiments that show things that go beyond Meyl, I think you've already seen some of them, and I don't even claim to understand all this stuff. I'm not claiming any miraculous results, just the configurations and the conditional results of those configurations. But Meyl prevails. The point of building your own crap is because you can do specific tests that other people don't show publicly that put Meyl into perspective. I could, for example, replicate Meyl's boat experiment, but take it a step further by (sort of) listening to Tesla and using a wire to energise the water, simplifying the experiment but still using a basically correct arrangement of things. Then it will work at a much greater distance from the transmitter than Meyl is capable of, because he's not doing it that way. The wire into water method would still be wireless because the medium would be the water, not wires, and there would be more energy available for use. This isn't how Meyl is doing it, and on the basis of these simple facts/obvious errors I don't consider him to be any kind of authority on the matter, which is why I always comment when he's mentioned. If the ether or dielectric vacuum...(call it what you want) is the reason for the TMT,then a log periodic antenna in one form or another might be worthy of experimentation. One of my science teachers, Dr. Phil Callahan was all about log periodic antennas in field insect communication. He too was an old radio man and that helped inspire his work with insect communication. This field is still wide open. Who knows what will turn up. well I do not want to write a thesis on time but I think time intervals of one second were taken from a metronome ticking. So I expect that someone had a pendulum and everyone set theirs alike. Anyway, I mention meyl because regardless he is doing it with under 10 volts sine wave what we cant seem to do with gigantic spark gaps and his is not a 3 coil system, but a 2 coil system. I agree that his videos do not show farfield but he said in one of his lectures that he tried it in the farfield in the universities. so you tell me? Is he lying? and dont forget the golden rule. Any antenna that can receive well also transmits well. Last edited by Kokomoj0; 04-02-2012 at 10:52 PM. what is the point of daisy chaining a series of dipoles each having their own bandwidth to get greater bandwidth? Sort of blows teslas "high Q" requirement right out the window now doesnt it? Hell I can easily tune up (and did) to a picket fence, so why not build one of those next? I thought that was the purpose for winding a coil.